When it comes to true employee engagement, should leaders praise everyday efforts or only exceptional performance and results? A very interesting post by Terry Starbucker proposes that saying “good job” too often, can lower the performance bar and create complacency. He offers 5 excellent suggestions for creating a culture of greatness. Kudos Terry for the call for continuous improvement and actionable steps to getting there. I am moved, as the The People-Skills Coach™, to go one step further and add a distinction between appreciating effort and recognizing performance. 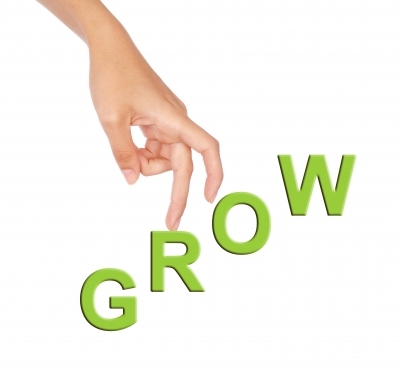 It is important for business growth and critical to organization and team cohesiveness. If leaders only acknowledge great performance, they run the risk of low morale — especially among those whose daily efforts in the mundane tasks are indispensable for end results. If leaders over recognize average performance, as Terry points out, they may send the message that average is good enough. Here is a balanced approach that respected successful leaders use. Know Your Team Members. Amiable personality types will thrive with mega appreciation. It doesn’t stifle their growth; it fuels it. Drivers benefit from seeing the high bar and being praised when they reach it. If you always move it just before they reach it, they disrespect your lack of foresight and see you as fickle. Expressives value all your expressions of appreciation and recognition. Analytics want to know why the bar is set at that point and appreciate kudos on reaching it. Message: Avoid using the same stock communication with everyone. The better you know the employees, the better you can engage them. Message: Overlook the appreciation and their passion wanes. Shy away from correction and you facilitate their crash. Withhold coaching and they stagnate. Message: If you want continuous improvement, highlight and recognize lessons learned as the fuel for growth. Applaud Talents That Are Constantly Applied to New Challenges. One of the biggest employee engagement mistakes leaders make is to take great talent for granted because it is always there. Consistency of talent is not lack of growth if the employees are applying it successfully to overcome diverse obstacles to reach new goals. Message: To expand success, you must always maintain a solid foundation. Recognize talent that sustains the organization. Casual repetitive praise means little and does little for growth and success. Sincere frequent appreciation of effort and specific recognition of growth and achievement ignite and sustain success. So leaders, in answer to my opening question: Should you show appreciation for everyday effort or just recognize outstanding performance? The winning answer is: Make it kool to care, kool to grow, and kool to achieve. This is the trifecta of success! My thanks and appreciation to Terry Starbucker for inspiring this post and to all my clients whose challenges have spurred my growth. ©2012 Kate Nasser, CAS, Inc. Somerville, NJ. If you want to re-post or republish this post, please email info@katenasser.com. Thank you for respecting intellectual capital. Kate Nasser, The People-Skills Coach™, delivers coaching, consulting, training, and keynotes on leading change, employee engagement, teamwork, and delivering the ultimate customer service. She turns interaction obstacles into interpersonal success. See this site for workshop outlines, keynote footage, and customer results. This critical nuance you brought up “add a distinction between appreciating effort and recognizing performance” is spot on. I really appreciate the articles you write on employee recognition. There is both an art and skill in doing this right and you help us get further along on that learning curve. Another great post, Kate. Thanks!